It looks more like Christmas in my home than it does Thanksgiving, but I can hardly wait for the feast that awaits me tomorrow. I must say I have MUCH to be thankful about. I am thankful to live in the United States of America where freedom rings. I am thankful to live healthfully and comfortably in my warm home with a loving husband and an adorable little boy. I am thankful for all of our stuff. I am thankful for how comfortably we live and for the loving family and friends that surround us. 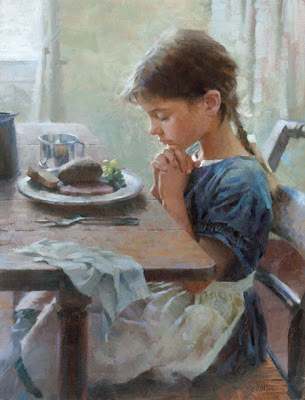 SO much to be thankful about. SO MUCH! For nature, for knowledge, for government, for technology. The list really could go on and on. Nothing but blessed. Nothing. I can't wait until I have kids old enough to craft with me. 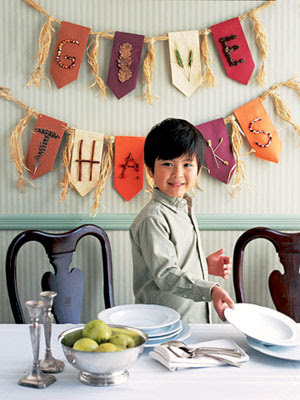 I think this may just be the cutest Thankgiving craft I have seen. I am excited for Thanksgiving and need to get baking. In my home, however, I have been trying to get a head start on putting my Christmas decorations up since I will not be hosting Thanksgiving at my house. We have our pre-lit tree up that we got on sale after Christmas last year. Does anyone have any tricks for fixing lights on pre-lit trees. We fixed a few bad sections last night, but there are still a couple of sections we need to figure out. We bought this at Home Depot to aide us in our attempts to fix the problem, but haven't quite figured it out all of its bells and whistles yet. 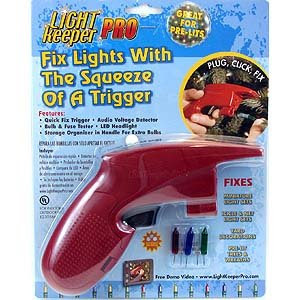 I will let you know if we find an easier solution or learn to work our new little "Light Keeper Pro." I don't know if it is perfectionism, or being a girl, or what, but I have a tendency to be a little obsessive when it comes to handwriting and though I realize I don't have horrible handwriting I know I don't have beautiful handwriting. I remember from a small age admiring my dear friend Kelsie Donleycott's handwriting. It seemed no matter how hard I tried or how long I practiced my handwriting never looked as artistic as hers. In fourth grade however my shining moment came. At my school each student was required to cover their books to protect them. Most everyone used kraft colored grocery bags to cover them and then we would spend much of our time after that doodling all over them. I had long been practicing "bubble letters" and somehow my bubble letters seemed to be outstanding enough that they had gotten the popular group's attention!! I was then commissioned to doodle on several of their kraft covered book with my doodle letters. Maybe that was the beginning of my design career. At any rate, I, to this day, obsess over people that have naturally artistic looking handwriting. To further exhaust the topic of handwriting, I found a few related things on the internet that I thought were fun. 1. 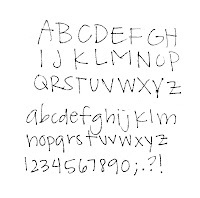 This article displays skilled typographers handwriting. Turns out that a lot of typographers don't have that great of handwriting either no matter how beautiful of a typeface they design. You are reserved and not very outgoing. You are deeply thoughtful and introspective. You have a lot of control over your actions and emotions.